Great Selection and Low Prices on Sulky and Velkeys (w/video!) 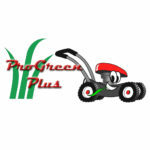 - ProGreen Plus | Knoxville, TN | Lawn Mower Parts | Riding Lawn Mower Parts | ServiceProGreen Plus | Knoxville, TN | Lawn Mower Parts | Riding Lawn Mower Parts | Service | We've Got Your GRASS Covered! Easily attaches in minutes to most mid-sized commercial mowers. Fits Exmark, Lesco, John Deere, Scag, Toro, Gravely and most other commercial walk-behind mowers. Click HERE to visit our online store to purchase NOW. No matter how you say it…velky, sulky, velkie, or sulkie, MowerPartsZone.com has the best selection of sulky and velkeys around!